The Annex Quartet is a Toronto–based string quartet known for fusing classical music with various styles and genres. 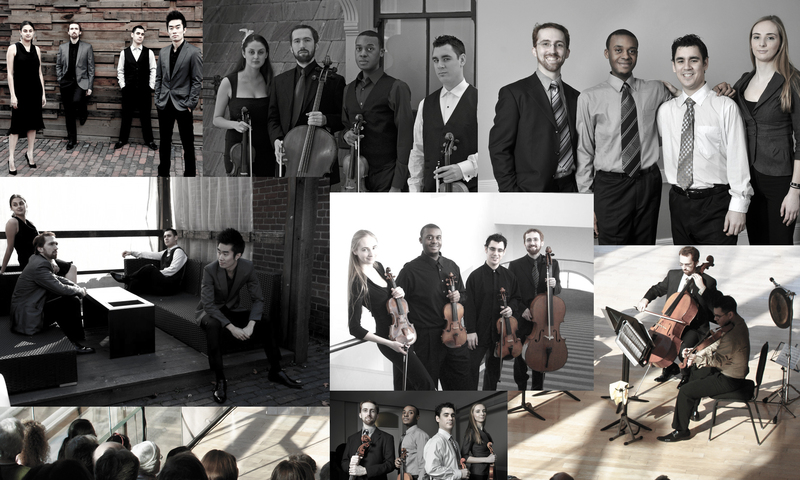 Founded in 2008 by Yunior Lopez, the Annex Quartet took its name from The Annex neighbourhood in downtown Toronto. They have appeared throughout North Americas finest performance and festival venues and appear regularly in Toronto’s many bars, coffee shops, and non-classical venues such as Aroma Espresso Bar and the St. Lawrence Market. To date, the groups primary focus has been bridging the gap between classical and world music. They have performed, recorded, and ventured into various musical styles including instrumental and pop music from Cuba and the Middle East. Their début album, “The Roaring Twenties,” was released in June 2013 during their fifth year anniversary. Guest Violinists: Luri Li (Rolston Quartet), Catherine Cosbey (Linden Quartet), Sharon Lee (DeVah/Cecilia Quartet), Emma Steele (1st Concertmaster – Royal Danish Opera), Thomas Cosbey (Concertmaster – Thunderbay Symphony), Nicole Li, Bora Kim.